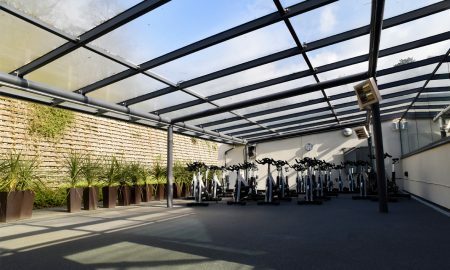 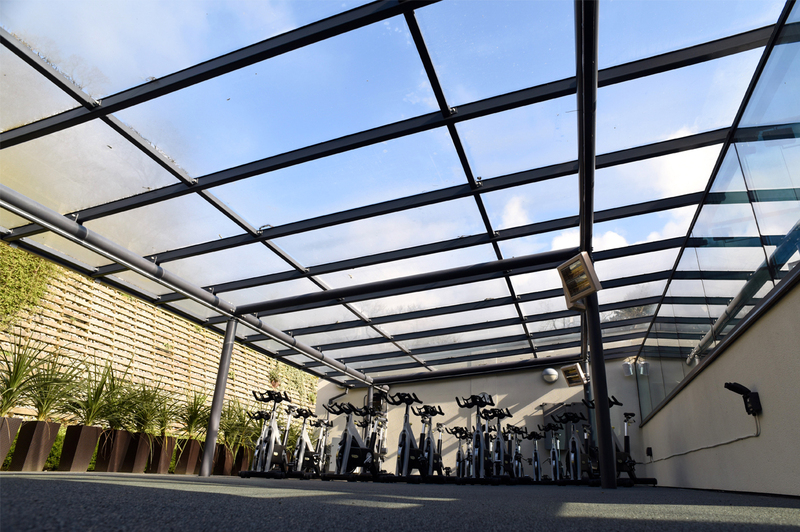 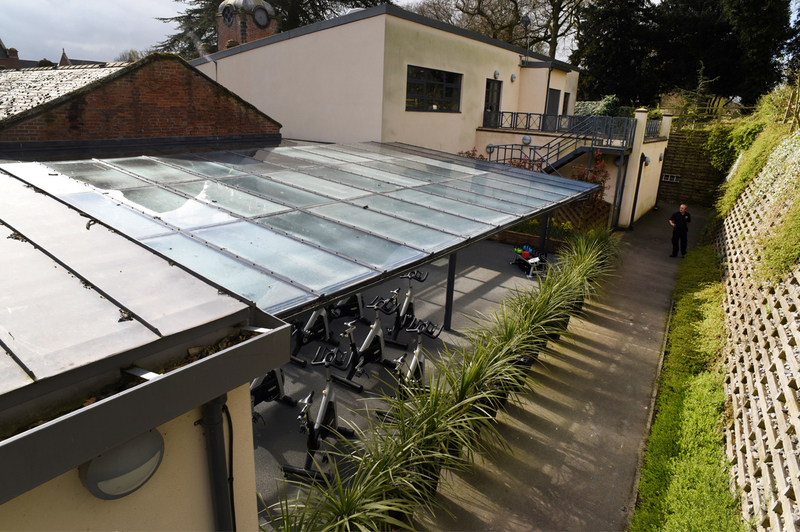 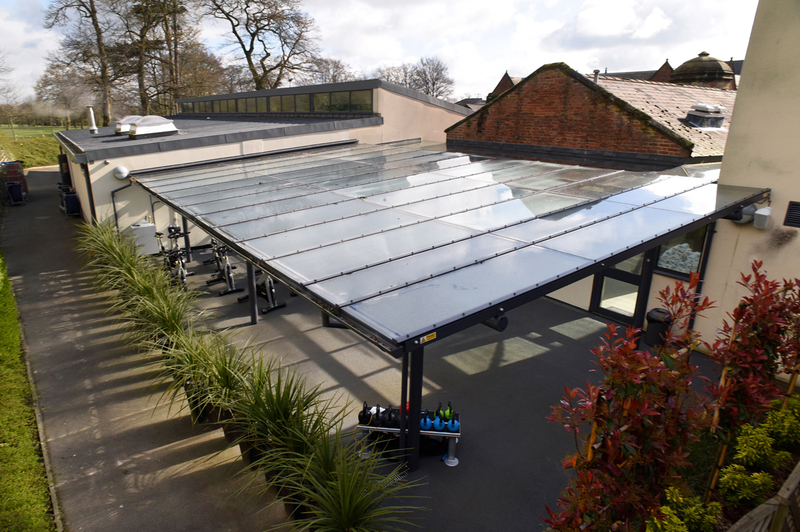 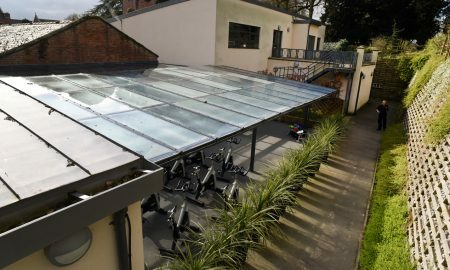 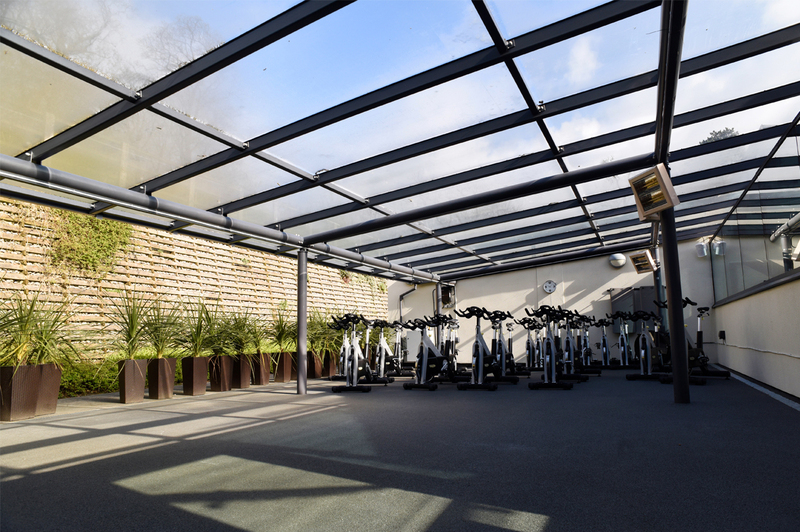 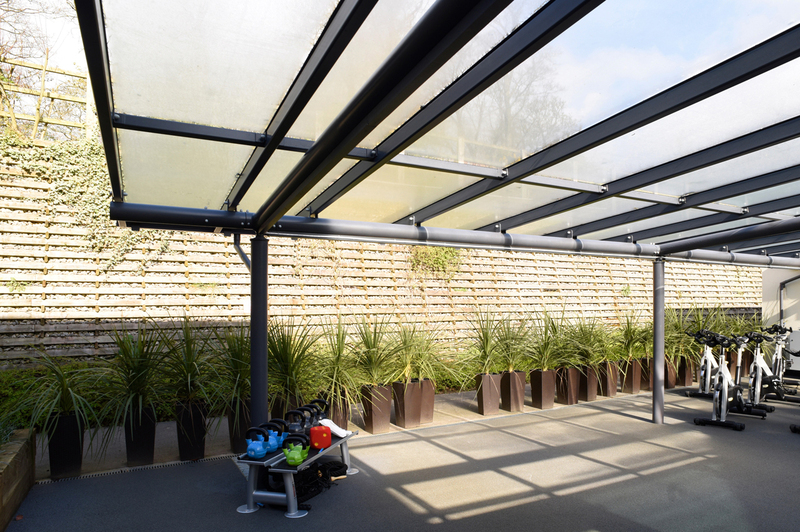 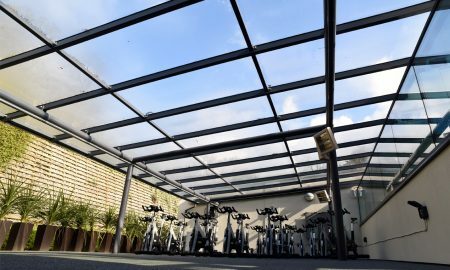 The Mere Golf Resort and Spa at Knutsford had a requirement to turn an outdoor area into a gym class area that could be used all year around for classes such as Spinning and Kettle Bell Training. 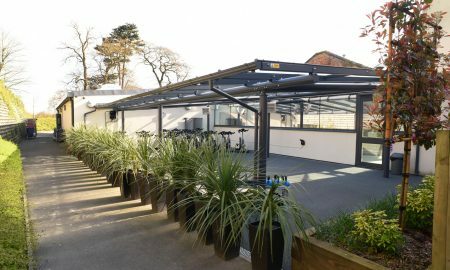 Broxap took one of their Newcastle Monopitch designs and created an open area that was freestanding and covered the area whilst the edge to the original building sits partially over its roof to create complete cover when accessing the gym area. 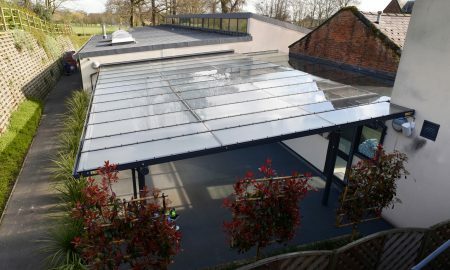 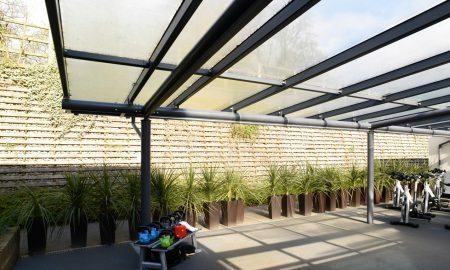 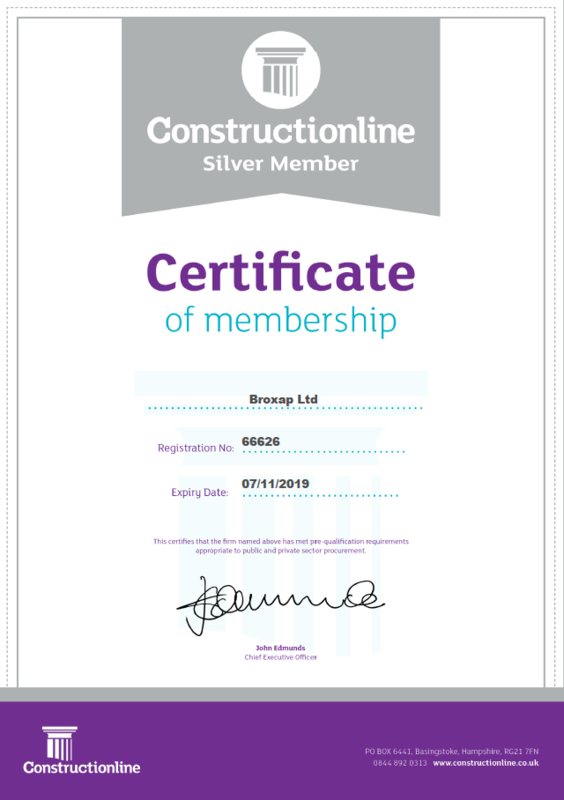 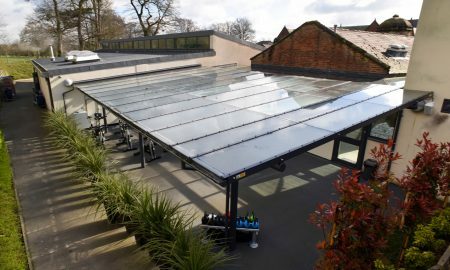 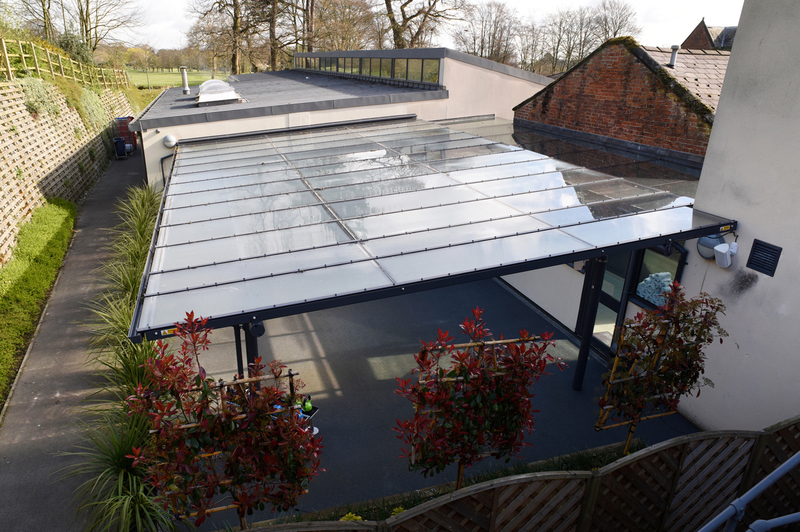 The roof is constructed of 8mm heat soaked toughened glass in aluminium glazing bars and the structure features integral guttering with downpipe to shed rainwater to ground level. 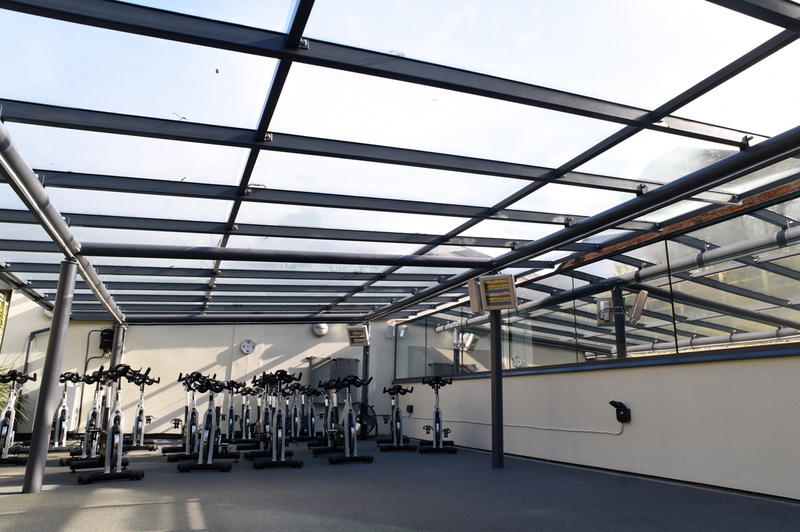 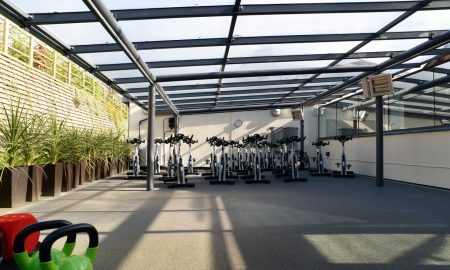 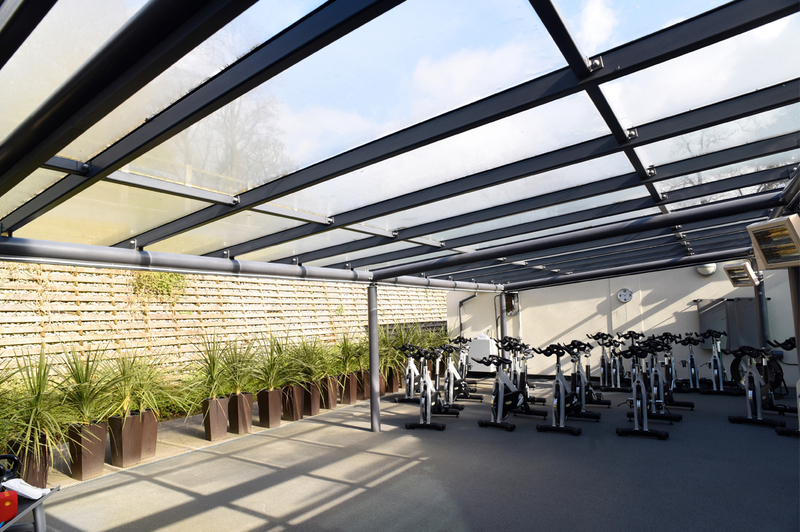 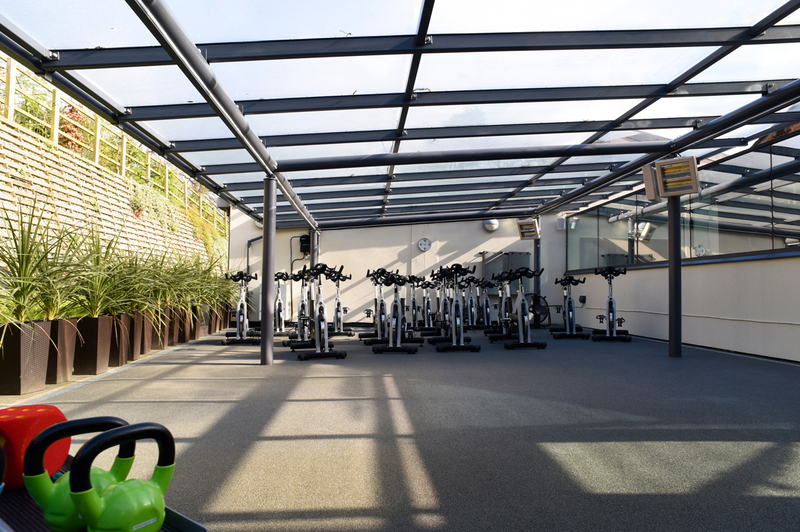 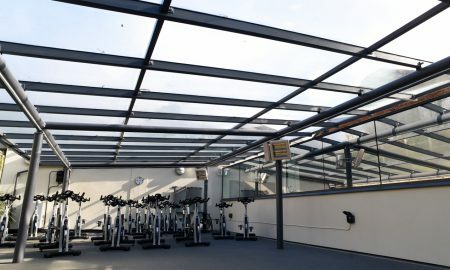 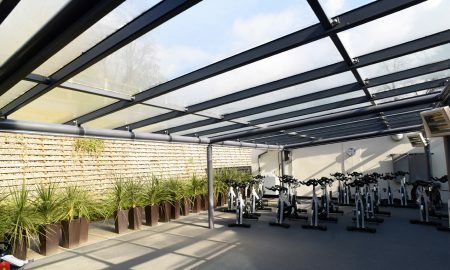 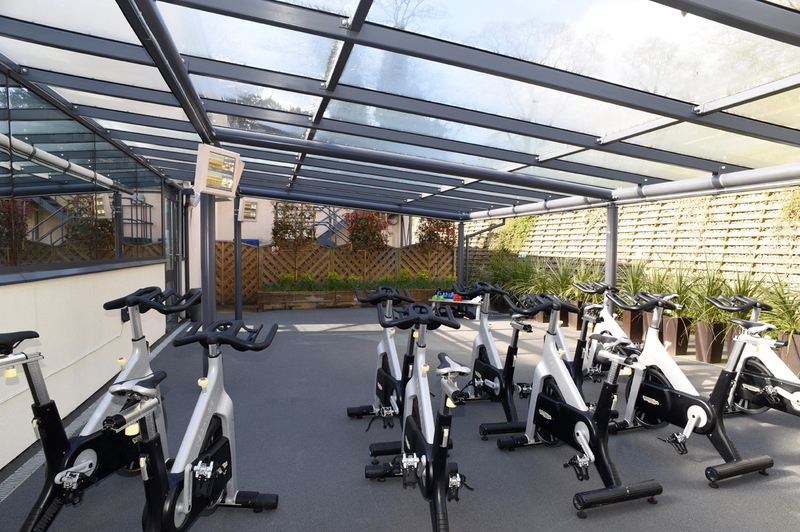 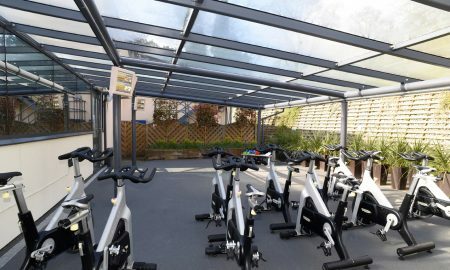 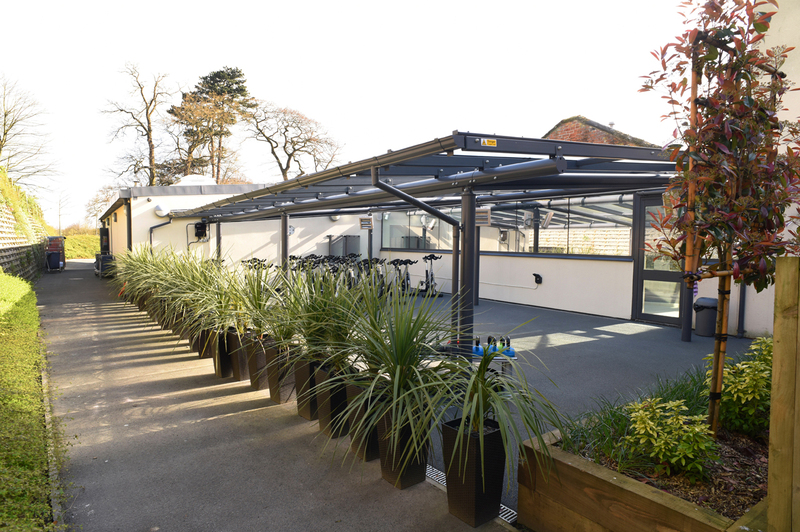 A safety surface and suspended heaters were installed by others post canopy completion and Spinning Cycles and Kettle Bells are stored beneath ready for classes.